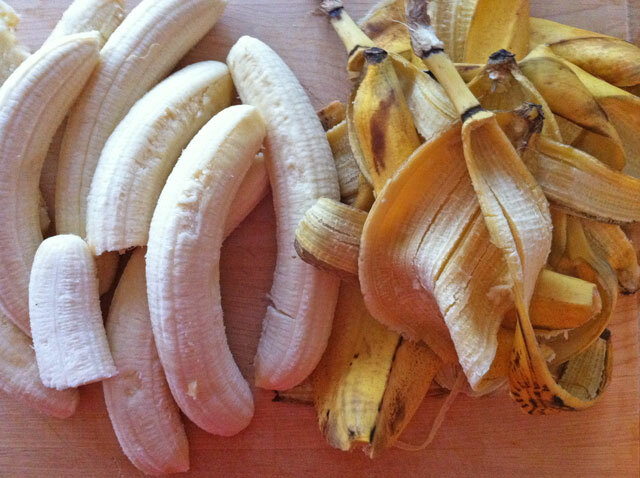 Simple, easy way to not not waste, and make yummy smoothies and treats for you and your family! A tip to make your life a wee bit easier, and friendly to our lovely Earth, yup I said it! So when you think your bananas are not going to get used for banana bread and you are considering tossing them out, DON’T!!! Take 10 minutes and freeze them! You can grab a few for a frozen snack for you or the kids, top a bowl of oatmeal, top a bowl of yogurt, make banana milkshakes, or make a bowl of granola and yogurt. The possibilities are endless, and the end is result is saving money and being nice, which is always good. 1. 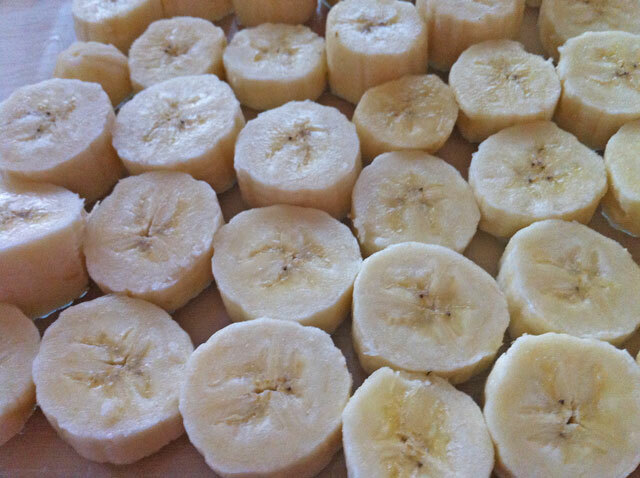 Slice your bananas, place them on a sheet pan in a single row, and place in the freezer for about an hour. 2. 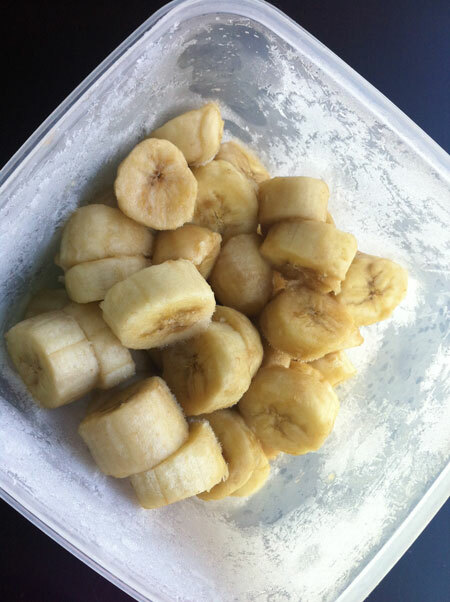 Remove from freezer, and place into a freezer friendly container, or zip lock baggy. That is it, and when you want a smoothie, take out as much as you need. Because you took the time to freeze them in a single row, they won’t be stuck together.